DJ Clue celebrates his birthday with the stars…. 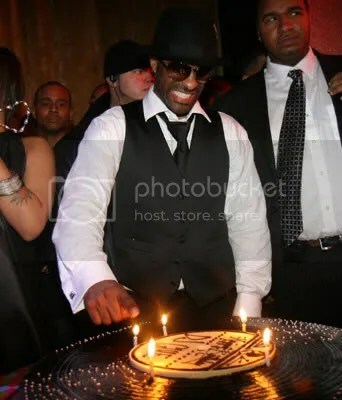 Looking at the pictures of the DJ CLUE Birthday party hosted by P.Diddy; it seems to have been a fun experience. We see Diddy know how to throw a party. Wow….Birthday celebrations seem to be the way to go for most celebrities now. With all the glitz and glamour surrounded by most sweet 16 parties now because of the popular MTV SHOW-“Sweet 16”, it has become a fabulous phenomenon. We have brought you this story first, no blogger,news affiliate or magazine has this story before us! 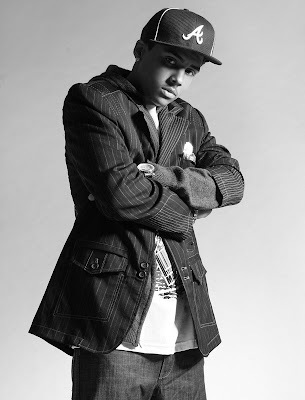 Living up to his father’s highly acclaimed parties where guests arrive and never know what to expect, Quincy’s birthday affair will be filled with surprises guaranteed to “remix” the traditional Sweet 16, hence the name Stunna 16. On Saturday, December 15, 2007 from 6:00pm – 11:00pm @ a private location Diddy’s son Quincy will look to shut down the city with his lavish birthday surprise. “Quincy, has lived the good life and walked red carpets since he was very young but for his party he wanted to give kids the opportunity to see life through his eyes, if only for one night. Quincy even went on air to give away passes to 100 well – deserving listeners, so that they could join in the festivities and not just celebrate him but many”, stated I’na Saulsbery (event producer, The Starfire Group). You are currently browsing the archives for the Celeb-Brithday category.